Mark & model? Features of RC-35 simple laundry soap cutting machine: Logo printing elegant; cutting surface smooth; operating simple; maintenance easy. 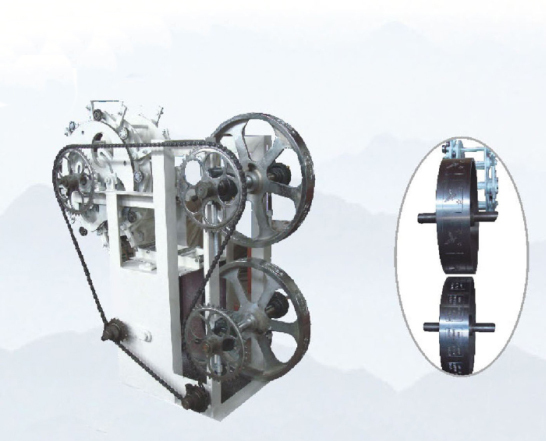 Soap rolling cutting machine is used to cut soaps into cakes and stamp patterns on the soap. It has no power and runs by the moving of soap bar coming from the vacuum plodder. The front two mould wheels are used to stamp patterns on the soap, and the rear wheel is used to cut soap. The machine is easy to operate and repair. The surface of mould wheels is plated chromium. The characters and the shape of soap is clear and neat. The size and pattern are designed according to customers’ requirements.